Hello – we had the TreeCircus at our school today and they were AMAZING! We’d love to see them at EVERY school in the state – such a critical message for the kids (and us big ones too) – please pass our thanks along to whomever is funding this program. It is one of the best we’ve had come through for a vey long time. The message of sustainability is so so VITAL and our students really walked away understanding that. The presenters could not have been more entertaining and convincing – FANTASTIC! 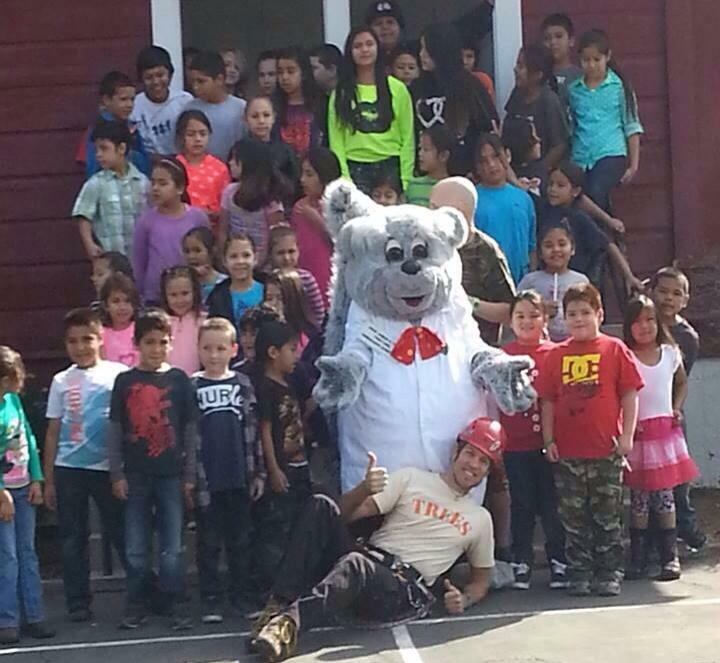 TreeCircus toured the state in celebration of California Arbor Week from March 3-15, 2014. 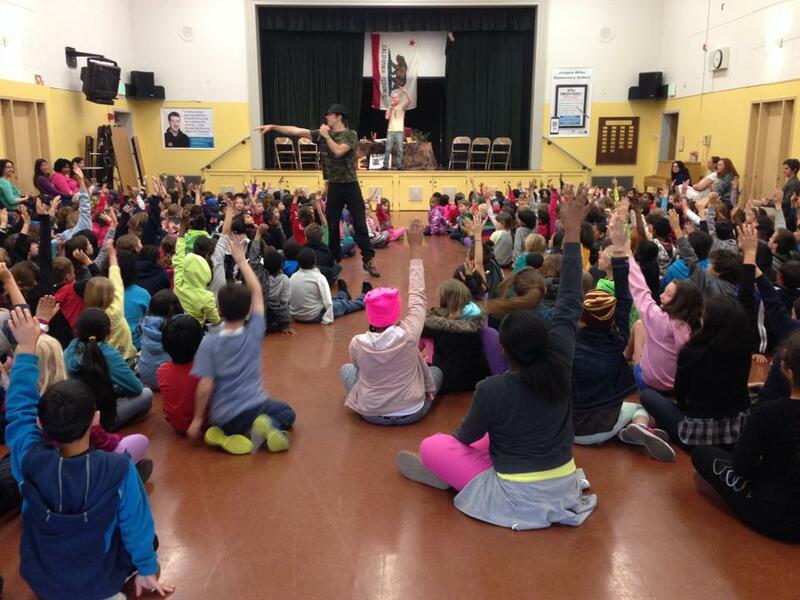 Kicking off in Lake Elsinore, CA, this high energy group performed 20 “edu-taining” shows for youth at schools throughout the state that all share the same need… trees! Cities along the tour included Lake Elsinore, Riverside, Jurupa Valley, Porterville, Visalia, Orange Cove, Palo Alto, Martinez, Wheatland, Rio Oso, Sacramento, Alameda, and Oakland. During their performances, TreeCircus dugs into biology, urban forestry, and even careers in arboriculture. They helped students understand how their local trees can lower the temperature and raise their spirits. Throughout the program participants learned all about trees, including their value, why we should plant more of them, and even how to climb them like the pros. Student participation was central to the show’s success. Those who suddenly found themselves a part of the TreeCircus act, out in front of the audience, generally blossomed in their own right. 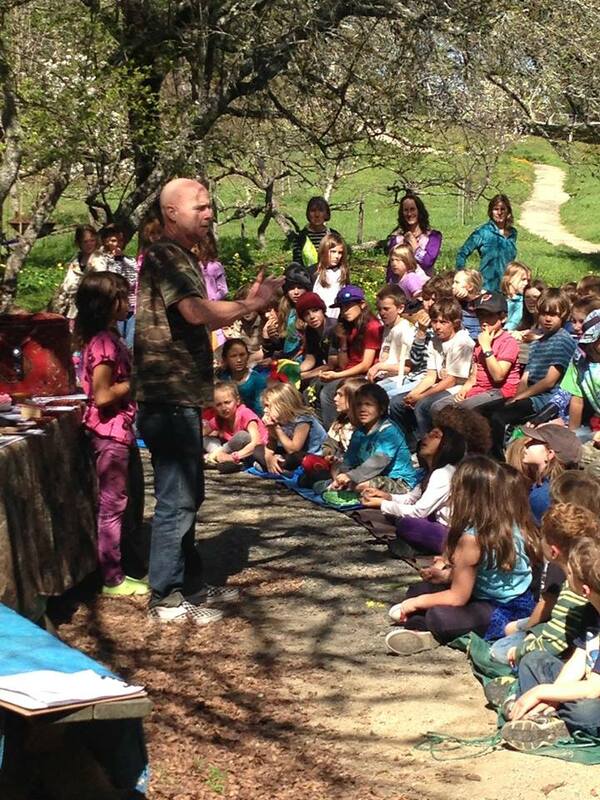 The TreeCircus paid special tribute to Luther Burbank and John Muir on this tour. Their stop at the Luther Burbank Farm on March 10 celebrated the turn of the century horticulture experiments that changed the food we eat. Burbank is the only person to have a state’s Arbor Day celebrated on his birthday. A public performance at the John Muir National Historic Site on March 9 in Martinez explored Muir’s modern legacy. During each stop on the tour, TreeCircus was accompanied by Treeture© character, Professor Arbor E. Tum. This larger-than-life treesearch scientist is part of the Treetures© cast of characters. The California State Assembly and Senate have established March 7-14 of each year as California Arbor Week. California Arbor Week is an opportunity to unite homeowners, cities, businesses, and individuals. It also helps to educate Californians on the value of trees, and how trees contribute towards building successful, healthy cities and neighborhoods. Though this is an important message every day of the year, March 7-14 is a chance for Californians of all ages to really recognize the natural wonders that surround us, and celebrate these most treasured resources together. Learn more about statewide arbor week events at www.arborweek.org. Be a part of California Arbor Week. Plant and care for a tree. Join the TreeCircus in a community event. The TreeCircus California Arbor Week Tour 2014 was sponsored by the United States Forest Service and Western Chapter International Society of Arboriculture.